It was a fun back-to-school day earlier today, not as a student but as part of the GMA Team who visited the City of Malabon University. GMA Artist Center brought all its December birthday celebrants Walang Tulugan's Jak Roberto, Protege's Mikoy Morales and the fast-rising tandem of Ruru Madrid and Gabrielle Garcia. 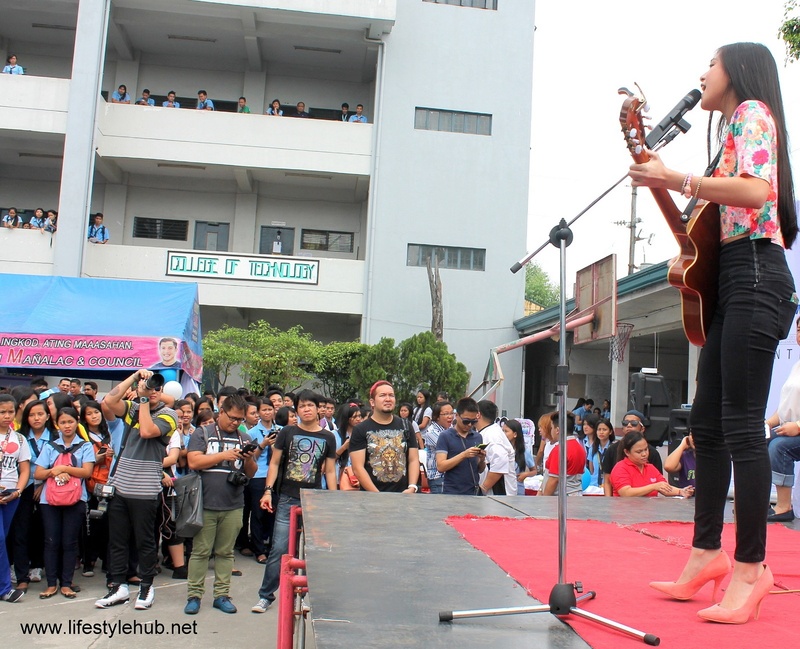 The artists were ready for their musical numbers while the Kapuso career both opened the registration for students who want to work at one of the country's biggest television networks. Sponsors also provided food and prizes. It was my first time to be in Malabon City and it was refreshing to be in that part of Metro Manila and be with the students. Relatively new to show business, Ruru and Gabrielle were very happy upon seeing the warm response of the students in Malabon. "Sobrang saya po. Madaming kabataan ngayon na nangangarap na ma-groom (maging artista)," Ruru said. "And very lucky kami na isa kami dun sa mga napili ng GMA... for next year..." Gab revealed. In the first quarter of 2015, the blossoming love team will be the stars of their own primetime show. 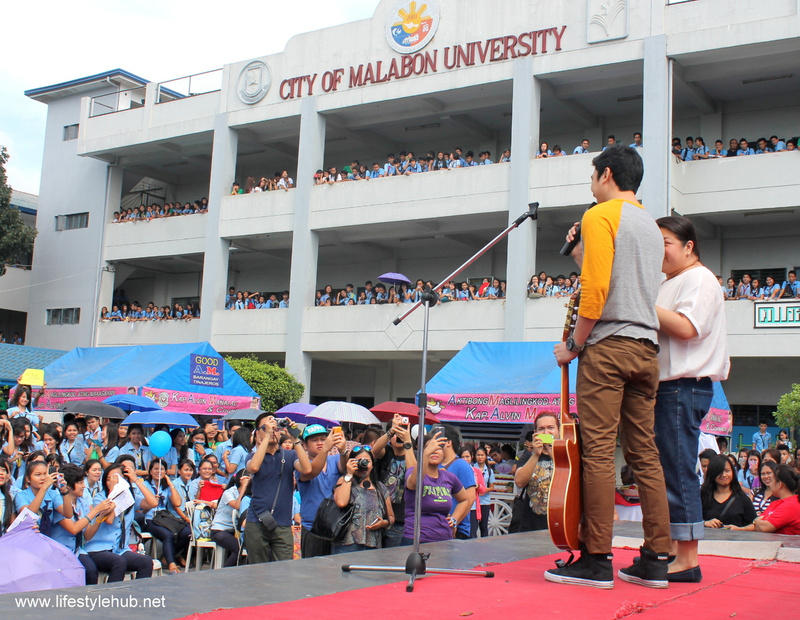 There was a technical problem but that didn't stop Jak Roberto from entertaining the students of the City of Malabon University. 2014 is considered Jak's biggest year so far after being named one of the Cosmo bachelors, a veer away from his usual wholesome image in Walang Tulugan With The Master Showman and other guestings in GMA shows. We all know how popular the KathNiel love team is and so I took the opportunity to ask Gab and Ruru what they feel when being showbiz people consider them as a promising Kapuso equivalent of KathNiel. "Ibang level yung KathNiel... Kunbaga, we just do our own thing," says Gabrielle. Ruru, on the other hand, declined the comparison. "Syempre, KathNiel yun... Gagawin lang po namin yung best namin. Di naman po kami yung nakikipag-compete." Being paired in the primetime soap "My Destiny" with Carla Abellana and Tom Rodriguez, Gab and Ruru's tandem received positive feedback from the public. Their team-up was quickly trusted with another project - an episode of Seasons of Love. What seems to be the secret? "Siguro po kasi kami yung love team na di masyadong ma-promo. Di namin pinipilit, shares Ruru. "Kung meron kamig gagawin, di namin pinaguusapan kung ano yung gagawin namin. Natural na lang siya," Gad added. 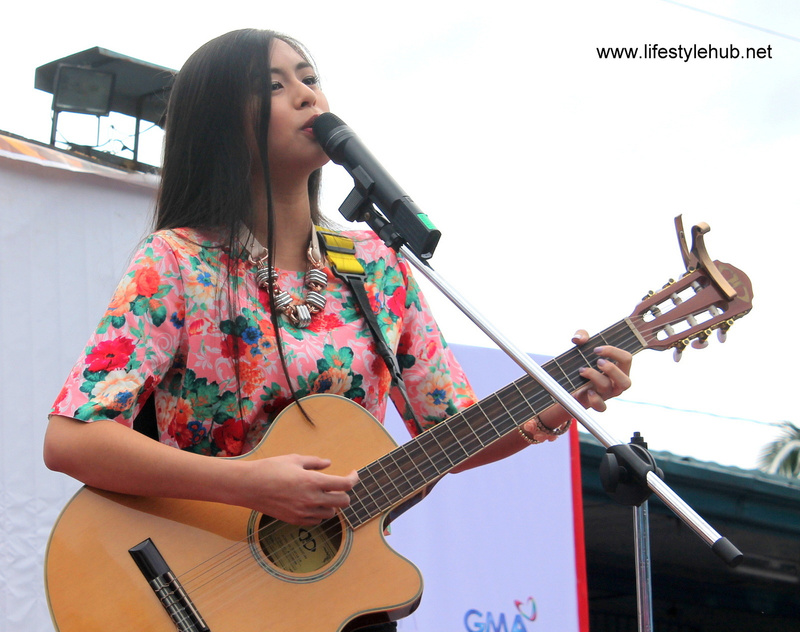 Gabrielle Garcia, or Gabi as her fans call her, put on a floral top and survived the morning heat early today to sing a song for Malabon. The 16 year-old actress emerge from a popular team-up with Ruru Madrid in the primetime drama series "My Destiny". 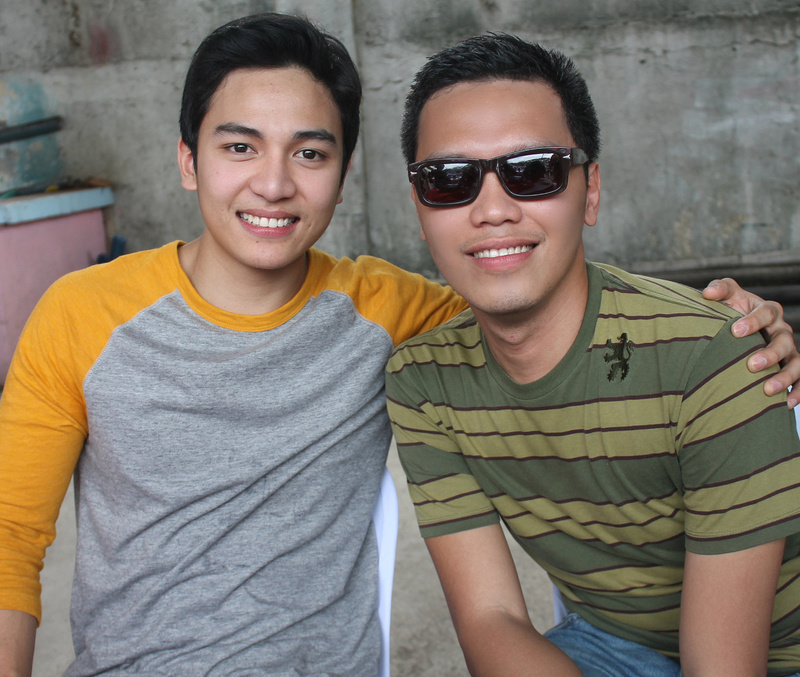 While Ruru and Gab found a partnership in each other, Jak Roberto, on the other hand, had a wish for his love interest onscreen. "Di naman nage-expect kung sino yung maging ka love team or leading lady. Kung papipiliin ako, lagi kong sinasabi si Yassi Pressman." Jak gave a sweet smile when asked if he had a crush on Pressman who was introduced to the public via Sunday show Party Pilipinas and as among the lead stars of Viva Films' breakthrough film "Ang Diary ng Panget." 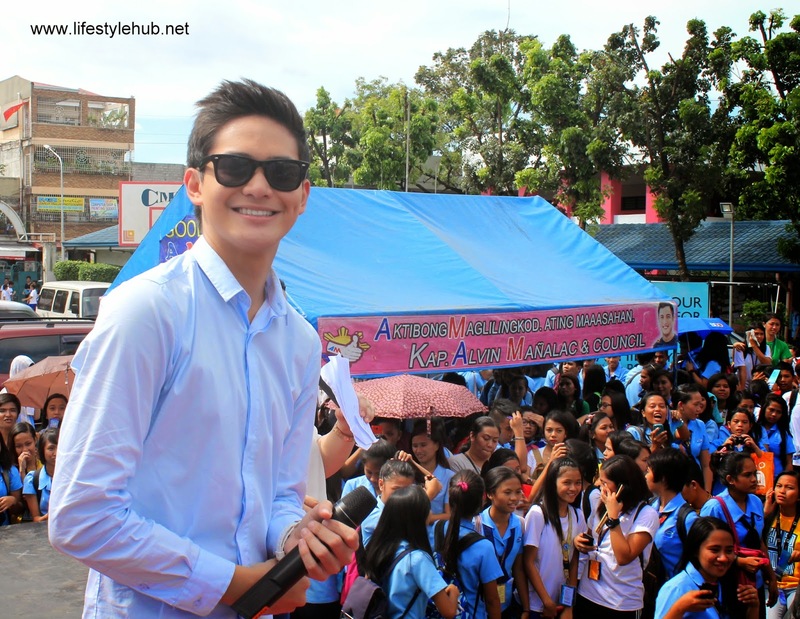 Ruru Madrid is runner-up to Jeric Gonzales in the second season of Protege: The Battle For The Big Artista Break but this newest GMA Prince is proving to be no runner-up when we talk about charisma. His fan base is steadily growing and this is rewarded with a lead role in a new show on primetime with Gabi Garcia in the first quarter of 2015.